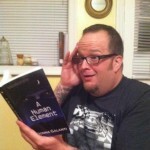 Behind The Scenes Of A Human Element! Ben and Laura: A match? 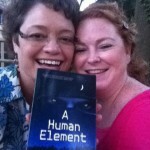 My paranormal suspense novel A HUMAN ELEMENT is full of dark mystery and murder with a dash of steam and sci-fi. Not all may survive the frightening road they travel down. 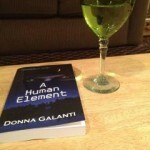 Discover the behind-the-scenes process on how I wrote about X-10, the evil monster with a tormented past…and about Laura, the woman who can’t escape death that follows her. And we can’t forget about Ben, an unlikely hero whose only chance to be saved may be through love. 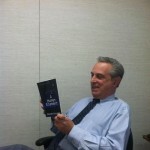 Best with wine, says Andrea from Albany! Did that really just happen? Eddie is shocked. 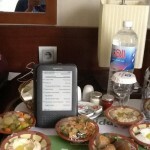 All the way from Bahrain on Joe’s Kindle for lunch! Rose is excited to get her gift from Amazon. 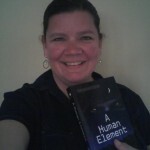 Michelle is thrilled to buy it direct from the author!